Where every dancer feels like a star! Never wear dance shoes outside the studio. Check for loose screws on your taps before you step foot on the dance floor. Arrive a minimum of 5 minutes before class. Don’t talk while the teacher is talking. Respect the dance space. Pick up trash and do not leave belongings behind. Don’t “hang” or slouch on the barre. Refrain from correcting others (that’s the teacher’s job). At the end of class, applaud or thank the instructor. Tuition is due by the first of each month. There will be a $10.00 late fee applied to the account balance for payments received after the tenth. There is a $25.00 returned check charge for any checks returned by the bank. Tuition is based on a breakdown of 10 payments, we do not prorate months for missed days, holidays or school vacations. There are no refunds given for paid classes. To cancel your tuition, 2 weeks notice must be given in writing. Email is an acceptable form of cancellation also. After cancelling your enrollment, you will remain on our email distribution list unless you request to be removed. 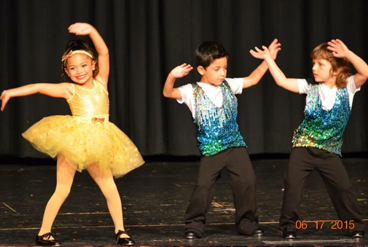 Our dance education depends heavily on your child’s attendance and punctuality. Please do your best to be consistent in arriving early and attending class each week. If your dancer is going to be absent from class, please call the front desk and notify us so we can schedule a make-up class. Students are encouraged to make up any classes they may miss. Make-up lessons are allowed in any other age and level appropriate class. Once the session is over or the student has dropped the class, all make-up lessons become void. We will be closed for all major holidays. Families will be notified with a minimum of 1 month's notice of any studio closures. 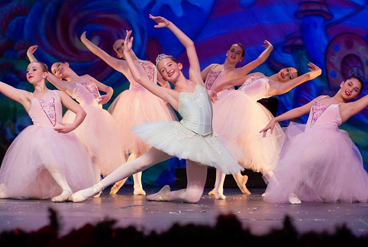 Come try an complimentary class and see why others have chosen Signature Dance Academy. Start your dancing dream TODAY! © Signature Dance Academy. All rights reserved.